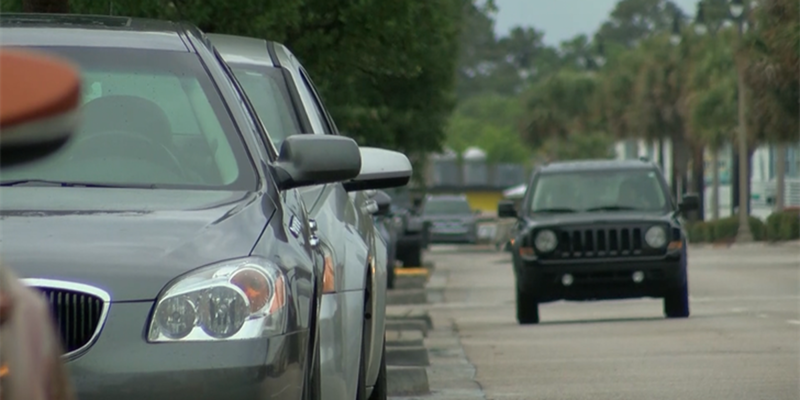 NORTH MYRTLE BEACH, SC (WMBF) – More parking could soon be a reality for North Myrtle Beach if city officials decide to move forward with a state representative's suggestion to turn already-paved roads into parking spaces. District 104 Rep. Greg Duckworth said the idea was born out of the legislative leadership initiative. His idea is to take certain portions of Ocean Boulevard and use the public right-of-way for parking spaces. "Why not capture part of the existing pavement that's already being in use in the public right-of-way? Why not be able to capture that and convert that into earned parking?" said Duckworth. "Probably the biggest challenge that you see out there is acquiring property for parking." Nothing is definite and he said city officials will ultimately be the ones to decide what they want to do. North Myrtle Beach City Council Member Fred Coyne said he's on board. "We've got 11 miles worth of road and beaches that we've got to park somebody on," said Coyne. He said he likes the plan and it's one of the better ones he's seen. He added it's hard to find something that works everywhere. "Most importantly, we don't have to buy anymore property," said Coyne. Duckworth said it makes sense to use what is already readily available. "Just because you acquire property doesn't mean you're finished. You still have to have it paved and everything like that and whether it's a parking lot or a parking garage, that costs a lot of money for taxpayers," he said.